The Federal Communications Commission wants you to know that it is fighting on the side of the average American consumer, and not just devoted to appeasing the likes of Comcast and Verizon, by taking on the existentially crucial issue of scammy phone calls. Sort of. Like, they're thinking about it. Today, the FCC announced that it will hold a joint policy forum with the Federal Trade Commission on March 23 on the topic of illegal robocalls and what these agencies, along with "private sector solutions," can do to stop them. On April 23, they will co-host a "Technology Expo" on the same subject, highlighting "technologies, devices, and applications to minimize or eliminate the illegal robocalls consumers receive." I assume that's more of those private sector solutions. That's not all! Yesterday, the FCC put out a consumer alert to warn people about "neighbor spoofing" scams, in which evil-doers manipulate caller ID information to make them appear as though they are coming from a local number, thus engendering a certain degree of trust. Feelings about the current incarnation of the FCC aside, regular people really do get scammed by robocalls and spoofed numbers, and it's definitely something that the FCC should address. They advise folks to no longer rely on their caller ID to provide accurate information about a call's geographic origin and to refrain from giving any caller one's personal information. They also recommend some call-blocking tools and encourage folks to report bad behavior to the agency. There are no actual solutions offered up in these announcements, only a boast about the $200 million in fines the FCC proposed against telemarketers in 2017 (which isn't the same as levying those fines) and the implied hope that someone will figure out what to do about all of this, with an unsurprising emphasis on what services private companies might hypothetically offer to combat scam calls. “Scam robocalls and deceptive spoofing are real threats to American consumers, and they are the number one consumer complaint at the FCC," said Ajit Pai in the joint FCC/FTC release. “We’re committed to confronting this problem using every tool we have." The agencies refer to the problem of scam robocalls as a "scourge," which feels a little overwrought, given the scale and severity of the crises confronting the country, even just within the context of telecommunications. But there's no denying that real people are being tricked and victimized by these kinds of scams, so it's certainly a good thing if the FCC is working on protecting consumers. I just wish they had felt this strongly about the well-being of consumers when net neutrality was still on the table. WASHINGTON, March 8, 2018—The Federal Communications Commission is warning consumers about “neighbor spoofing” scams where thieves manipulate caller ID information in ways that make calls appear to have been placed locally. While a call might originate overseas, the caller ID information on the recipient’s phone would appear as though the call is coming from the consumer’s own area code and local exchange. In general, scammers use such spoofing to increase the likelihood that consumers pick up the phone and to increase the consumer’s trust in the call. The FCC is also working on various policy changes to help unmask and to block scam callers. The agency recently adopted new rules allowing phone companies to proactively block calls that are likely to be fraudulent, like purporting to be from area codes that do not exist. The FCC also began exploring ways to set up a reliable system to verify that a phone call is really coming from the phone number that it claims to be. The agency began seeking public comment on standards to help differentiate legitimate phone calls from those that attempt to trick consumers through caller ID spoofing. A reliable authentication system would help confront this behavior and strengthen call-blocking and enforcement actions. Today’s technology also allows scammers to more easily and cheaply spoof telephone numbers, manipulating the caller ID information so that they appear to be calling from your local area. Although spoofing technology has legitimate uses, it is often abused by scammers. The Truth in Caller ID Act prohibits spoofing with the intent to cause harm, defraud, or wrongfully obtain anything of value. Consumers rely on caller ID information to make decisions about what calls to accept, ignore, or block. Accurate caller ID information is a vital tool that consumers use to protect their privacy, avoid fraud, and ensure peace of mind. To help consumers confront such scams, the FCC will be partnering with the Federal Trade Commission in two upcoming events aimed at furthering the fight against illegal robocalls and caller ID spoofing. The agencies will co-host a policy forum later this month and a technology expo in April. The Commission also provides helpful consumer protection tips on social media via #FCCtips. 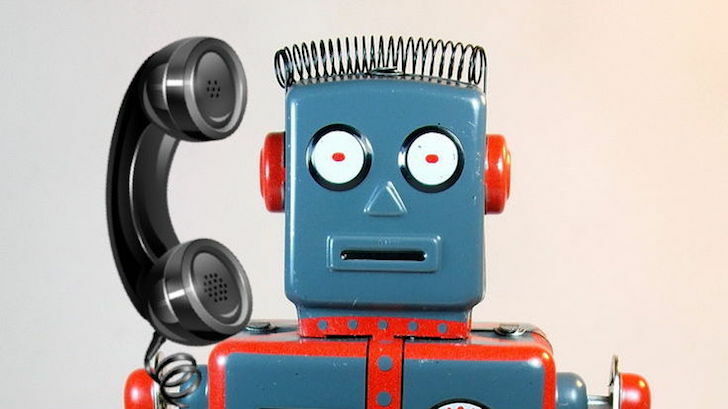 Everyone who believes they have been targeted by a robocall scam may file a complaint with the FCC Consumer Complaint Center, the FTC Complaint Assistant or the Better Business Bureau’s Scam Tracker. The FCC reviews consumer complaints and may utilize them in enforcement actions and to inform its policy-making work. The Federal Trade Commission and the Federal Communications Commission today announced two upcoming events aimed at furthering the fight against illegal robocalls and caller ID spoofing. The agencies will co-host a Policy Forum later this month and a Technology Expo in April. Unwanted calls -- including illegal robocalls, spoofed calls, and telemarketing -- are a major source of complaints to both the FTC and FCC. Under Acting FTC Chairman Maureen K. Ohlhausen and FCC Chairman Ajit Pai, the agencies have combated this consumer problem through numerous policy-making efforts and strong enforcement actions. On March 23, the two agencies will co-host a Policy Forum at FCC headquarters to discuss the regulatory challenges posed by illegal robocalls and what the FTC and FCC are doing to both protect consumers and encourage the development of private-sector solutions. The live video feed and other information related to this event will be available at: www.fcc.gov/news-events/events/2018/03/fighting-scourge-illegal-robocalls.